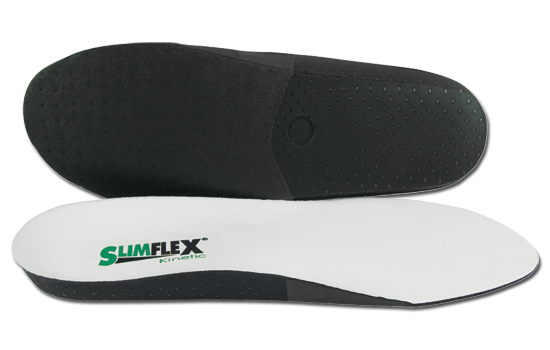 Slimflex Kinetic offers a cost-effective orthotic solution to most biomechanical related conditions. On its own, it is ideal for feet that require additional control and stability. With Podotech adaptations, such as posts and met pads, it can provide the clinician with a highly-cost effective customised orthotic. Designed by UK podiatrists to meet the requirements of the versatile busy clinician. Please note: Success in applying the above modifications are reliant on the skill level of the prescribing practitioner. Advice on these methods is available on request. Due to the level of customisation that is achieveable with the Slimflex Kinetic, the treatment options with this device are endless. Slimflex Kinetic is recommended where speed of orthotic turn-around is of importance and where chairside treatment is the chosen solution to biomechanical pathologies.